Introducing Denyse McPhail It’s a long way from being an International Ice Figure Skater to becoming a highly successful real estate professional but it’s a journey Denyse McPhail has made with ease. She began her working life in a product advisory and sales role for Adidas International for over a decade. During this time she also acquired an extensive knowledge of property investments. So it was natural that her next career move should be into real estate, combining an exciting business career with bringing up her three daughters. Denyse has spent over the last sixteen years in the industry. She received her training with Harcourts and is proud to be still part of the Harcourts International team. Over those years Denyse has received many performance awards as a top level licensed sales consultant with extensive knowledge and experience in all areas of Residential, Development / Urban Projects and Commercial Real Estate. 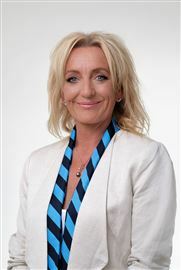 Denyse also has wide experience in the sale of land and the long term development of properties. For example, she has worked extensively with Ngai Tahu Property Limited with development projects in New Zealand. Harcourts Bluewater Real Estate (Fiji) Limited was established in Suva in October 2003. And now has three offices in Suva, Nakasi and Nadi. 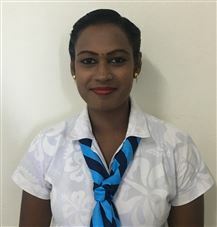 As Sales Manager for Harcourts Fiji, and now residing full time in the Fiji Islands, Denyse is excited to be mentoring and developing a team of Licensed Real Estate Sales and Leasing Consultants and administrative support staff. It’s an exciting time for our industry in the Fiji Islands with great media coverage such as the reported article from the NBR on 'Fiji is on the cusp of its biggest building boom for almost a decade "Harcourts is a company absolutely committed to providing exceptional personal service to our clients. Our mission statement: ‘To create clients for life through the finest service'. Getting to know Hitesh Naidu With a solid background in the hospitality industry in Executive Sales and Customer Services, Hitesh has made an exciting transition into the role as Sales and Leasing Licensed Real Estate Agent. His work ethics are honest and he delivers with a high level of energy. As a fitness enthusiast he is goal driven with enormous discipline. All these personal attributes have contributed to exceptional feedback from our clients both buyers, sellers and consistent referral business. Hitesh’s hard work for his clients have been rewarded, when he was recently awarded No 1 Sales Consultant for Harcourts Nadi Office second year in a row. Introducing Krishn Naidu With a passion for Real Estate and an exceptional cooperate background in the financial industry, it has been a smooth transition leaving his previous position as a Mortgage Banking Manager for his new position as Licenced Sales Consultant with Harcourts. Krishn’s commitments to his clients and his solid knowledge of the finance industry are a ‘real’ asset when looking at buying or selling property. Call Krishn today to assist you with all your property requirements. Paula Benn is well known in Lautoka city and Nadi Town. Paula utilises a professional and energetic approach in serving her clients that combines her signature charisma, illustrious energy with impeccable attention and communication. Paula ensures that each transaction is handled with personalised guidance and dedicated professionalism. Her warm and outgoing personality immediately puts her clients at ease and Paula goes above and beyond to get the job done. 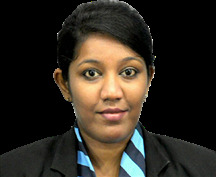 Residing in Lautoka for 23 years, Paula has immense knowledge of the city and its surrounding areas. She is a long serving volunteer community worker, basing her principles of work on a strong sense of integrity and loyalty. She has a broad outreach to community members from all levels and sectors of society. Paula says, “ Communication, confidentiality and deliverance with my clients are important to me”. Paula's Specialties: Effective, targeted marketing of residential and commercial property throughout Lautoka, and surrounding areas extending as far as Sigatoka to Rakiraki. Always putting your best interests first! As an accomplished seller of local resorts privilege memberships, Rupam observed her clients through her caring eyes. Hers was a position requiring perseverance, tenacity, negotiation and communication skills as she worked with a diverse high profile local and international customer base. Today as a real-estate professional, she is bringing those same skills and talents to Harcourts Real-estate. A focused listener, able advisor and fierce yet fair advocate of Harcourts. Rupam is known for her diligence and caring behaviour while employing encouragement and genuine concern as she creates a positive experience for both parties in any property transaction. Her business approach is direct and successful; she listens to the client’s needs and matches them to the right property, then assures an honest and efficient transaction. Rupam’s mantra, to be in touch and stay in touch, is the key to her long term relationships with her clients, and at the same time enjoy their friendship with her clients. “People like me and trust me. They know I’m not just in for sale. Whether it’s a small house or multi-million dollar property, I’m in it to make sure the transaction goes clearly and cleanly and stress- free for my clients. That’s my Goal.” “My colleagues, clients and friends say that they can always come to me because I’m so grounded and they know what to expect. They say I’m a kind and giving person a hard worker. I take great pride in that.